Imagine this line-up: Crwn, Up Dharma Down, Nathan Sykes, Autotelic, Aegis and Ely Buendia. All these artists will come together in a FREE concert on July 14th at the Smart Araneta Coliseum. 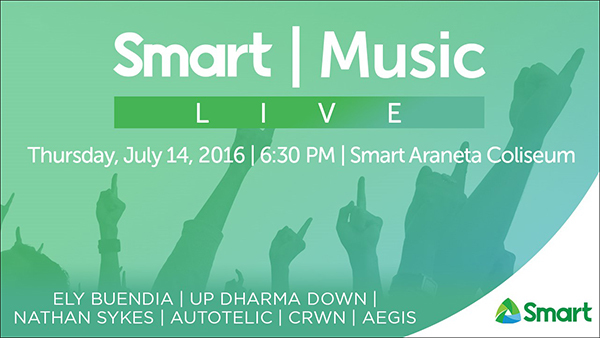 The event kicks off a stellar concert series dubbed as Smart Music Live. “Smart Music Live is just the tip of the iceberg because there’s an entire roster of international acts to witness and experience in the coming months if you’re a Smart subscriber. This July 14 music fusion signals a series of live concerts, up close and personal experiences because we know that music is one of the pillars of digital entertainment alongside videos, movies, TV serials and gaming—all of these and more are now part of the digital habit of our consumers,” said Kat Luna-Abelarde, FVP and Head of Wireless Consumer Operations for Smart. Upcoming Smart Music Live events include Selena Gomez’s forthcoming Manila concert on July 31, In the Mix concert featuring The 1975, Third Eye Blind and Panic! At The Disco + James Bay, Elle King and Twin Pines live at the SM Mall of Asia Arena on August 18, and finally, Shawn Mendes in October. “We recently launched the Smart Life app where Smart users can now easily access their passions, including music, with ease. And since Smart Life is bringing the entire music experience with you, anywhere you go, Smart Music Live on the other hand, brings subscribers right where music happens and up close with your favorite local and foreign artists.” said Luna-Abelarde. Smart Postpaid and Smart Bro subscribers only need to show their statement of account to get two (2) patron tickets while Smart Prepaid and Smart Bro Prepaid users need to load up Php 100 to get a pair of tickets. 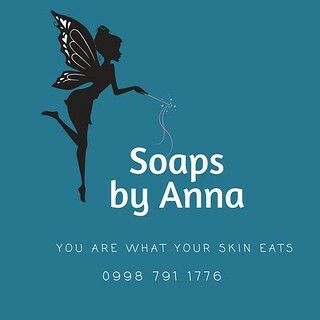 Ticket distribution starts today, July 9 at the following Smart stores: SM Mall of Asia, Gateway Mall, SM North EDSA, Robinsons Galleria, Robinsons Magnolia and Festival Mall.